Port Washington Things to Do: A Waterfront Community Full of Life! 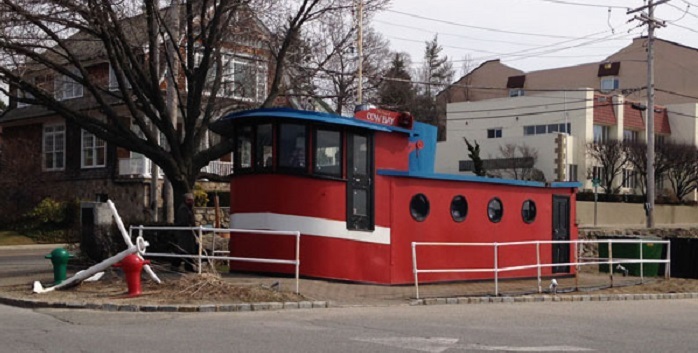 Pictured is the Tugboat Museum in Port Washington, NY. Whether you're a local to Port Washington or simply visiting, this lovely waterfront community has so much for you to see and do! A relaxing stroll near the waterfront gives you a magnificent view of Manhasset Bay. The community is also full of life with free summer concerts at parks, great restaurants for dining out with fresh seafood dishes and cuisines of all types, thrift shops for vintage wear and other great finds, ice cream shops, boat rental shops for your next water adventure, and the Tugboat Museum. Head over to the welcoming waterfront community of Port Washington on the North Shore of Long Island and discover all it has to offer! Looking to get into the water for an adventure? Atlantic Outfitters supplies rentals for your row boating & kayaking adventure needs. Set sail for fun on the Long Island Sound this Summer! Hop on one of Angler Fleet's open fishing boats, private charters, or party boats for a day full of summer fun. Angler Fleet also provides fireworks cruises, nature cruises and even summer adventure programs for children! Enjoy the Long Island waters this Summer with convenient service and affordable pricing on rentals. You can pick from a variety of boats perfect for tubing, swimming, or fishing – there's sure to be the ideal boat to suit your needs! Enjoy the sunset, music and movies by the bay! During the summer there are free concerts at the John Philip Sousa Band Shell. This beach park offers amenities including a fishing pier, boat ramps, basket ball courts, handball courts, playgrounds, picnic areas with barbeques -- perfect for an outing with kids and family! Step foot into this magnificent 216-acre plot of land where it is home to what was formerly known as the Guggenheim Estate. Find nature trails, rolling fields, freshwater ponds, steep cliffs with amazing views, Castle Gould, Hempstead House, and Falaise. While it's called a museum what you're actually looking for a a tugboat sitting on dry land at the entrance of the town dock.There's no admission fee as you aren't allowed to enter the tugboat, but if you peek inside you'll get a view of changing exhibits. A stroll around the town dock will lead you to this nifty thrift shop for vintage-wear and other great finds! This fine food establishment will serve you mouth-watering seafood dishes, but if you're looking for steak, you can order that up too! Louie's dates back to 1905 and year after year people come back to enjoy the great food and dining experience offering a view of Manhasset Bay. Need to cool off after a full day of exploration? Yummy ices in many flavors are waiting for you here!